Feeling tethered by your VR headset’s cables? We took matters into our own hands. Virtual reality pushes the envelope of bleeding edge technology, allowing us to explore and experience worlds beyond our mortal imaginations. It gives us immersion in another dimension, providing an unprecedented medium for communication and story telling. If a picture is worth a thousand words, then virtual reality must be worth millions. Except there’s one thing keeping it grounded to reality: cables. Since the first virtual reality headset that was hacked together in 2011, immersive head-mounted displays have progressed far and quickly. Oculus Rift, HTC Vive, and PSVR are some of the main contenders of virtual reality hardware, and between them lie stark differences in performance and usability. 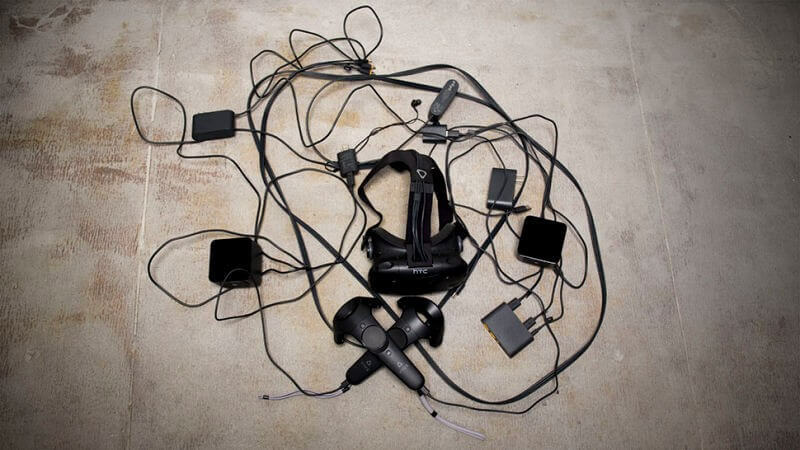 However, cables are the common denominator in these high performance virtual reality headsets. They are tethered to a host computer to provide the computationally intensive processing power required for high-fidelity content. Although mobile solutions are available such as Microsoft’s HoloLens, Samsung VR, Google Daydream, and even Google Cardboard, wired headsets will continue to be the vanguard of high performance virtual reality. To read the rest of this post, visit our article on Medium.